Eddie and Ray Yen founded Yen Bros Food Service out of the back of their father’s market on Robson Street in downtown Vancouver in 1972. Since the beginning, we’ve built our success on customer care. We strive to understand and service your needs, so you can grow your business. Our customer-first philosophy and commitment to offering a comprehensive product mix at competitive prices helped Yen Bros expand from a two-man operation to a staff of over 145. Today we are one of the largest independently owned and family-operated foodservice distributors on Vancouver’s lower mainland. 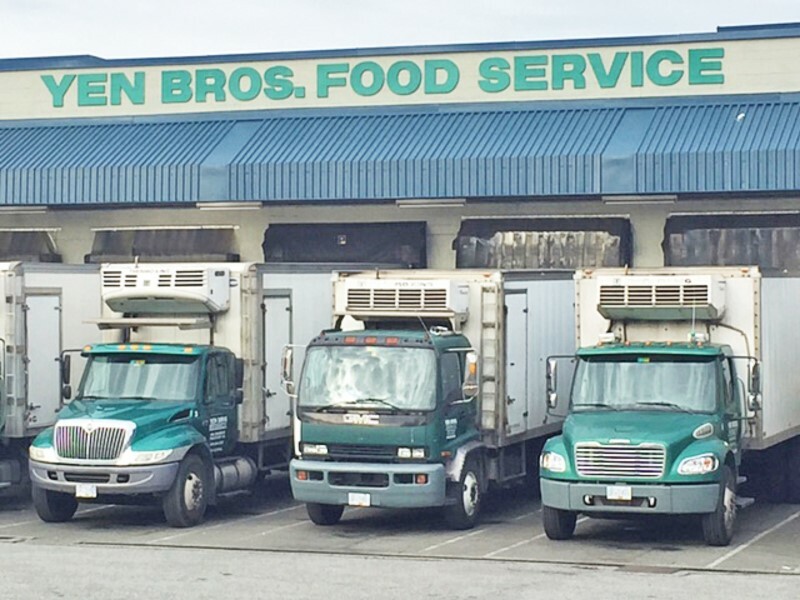 With our roots in the retail wholesale produce industry, Yen Bros is renowned for providing the widest selection of fresh, seasonal produce available daily. We offer in-house processing for all your proprietary mixes, and flexible ordering to meet your evolving needs and the challenges of your business cycle. As a full-service foodservice operator, we are continually improving our product mix and services. From fresh and frozen meats and fish, to dairy and eggs, grocery items, and non-food products, we offer an unrivaled selection of brands to supply every aspect of your business. Our experienced sales team would be delighted to work with you to introduce you to the products you need to be successful. Order directly through your sales representative, contact our internal sales team, or enjoy the convenience of our online ordering system for access to our full product line any time, from any location. Our affiliation with Brand Points PLUS provides all Yen Bros customers with access to an exciting loyalty rewards programs and special offers. We deliver six days a week across Vancouver and the lower mainland, from Abbotsford to Vancouver Island, to Whistler and the Sunshine Coast. At Yen Bros Food Service, we know your success is our success. We deliver quality, choice, and service, regardless of your foodservice needs.